For the past two decades our maps and illustrations have frequently been commissioned for museum exhibits around the country. This page contains a sampling of some of these maps and views. 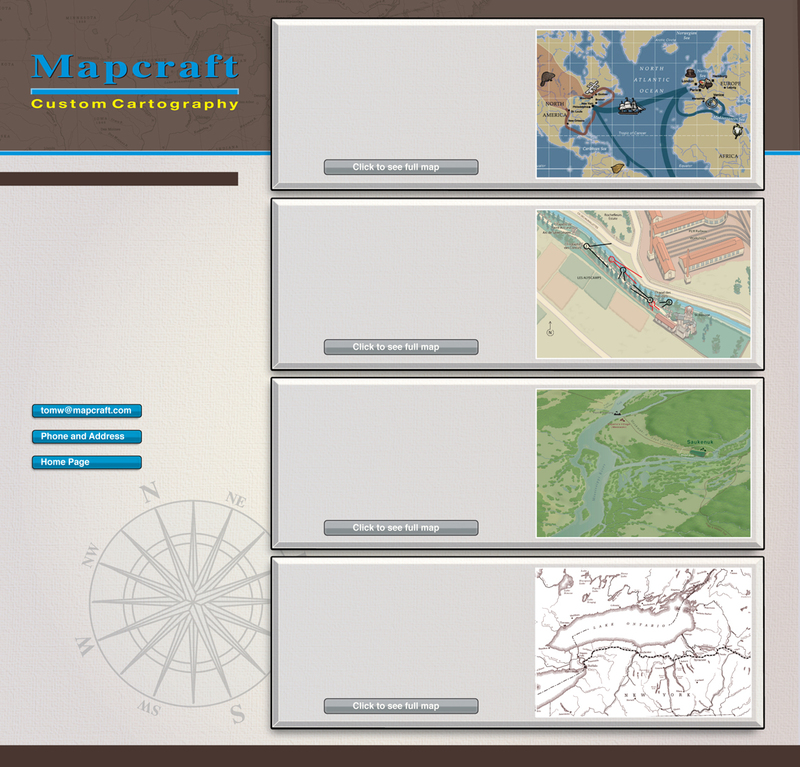 One of the strengths of Mapcraft is the historical knowledge of our staff, and our ability to research topics thoroughly, thereby enhancing the visual appeal and educational value of these projects. This map was designed to show the world-wide nature of the fur trade in the 18th century. Specially-illustrated symbols show the various commodities involved in the trade. The museum director reported that one visiting period expert called this “the best fur trade map” he has seen. This map was commissioned for a major exhibition by the Art Institute of Chicago entitled “Van Gogh & Gauguin: Studio of the South.” It shows a location along the Alyscamps where the two were painting and the directions they faced using light patterns to create their works of art. This map was designed for the Hauberg Museum of the American Indian and shows Rock Island, Illinois as it might have appeared in 1822. All of the forests and other environmental and historical areas were carefully researched and richly depicted. This map was printed as a mural showing the Erie Canal system and the Great Lakes. The client provided a contemporary map, which they felt did not show sufficient area and detail; we therefore designed a new expanded map in the style of the previous one.